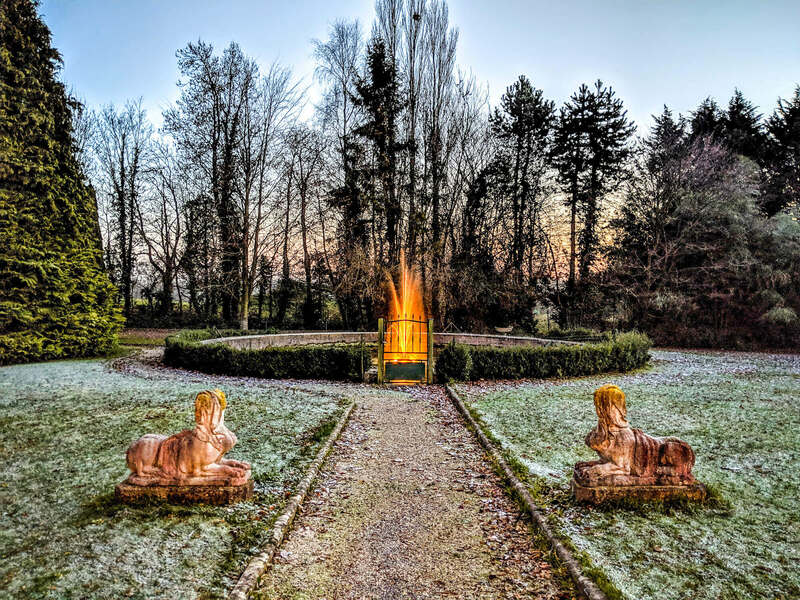 (Normandie, France) — You can spend a day, a week or a month in Normandie and never get enough. 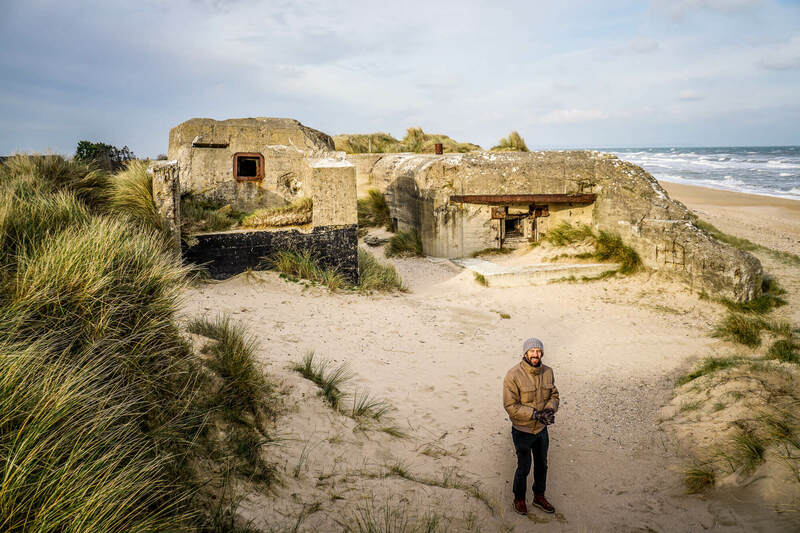 We only had a couple of days on our own to explore the province after taking a D-Day tour, so didn’t get to see a lot, but here are my favorite finds. Normandie is really really old. Certainly there were neolithic settlements, but it was settled by the Vikings long ago –“Northmen land” is basically what the name translates to — who in the 800s rowed up the Seine in their longboats all the way up to Paris — long before the Viking Longboats were even conceived — pillaging along the way and eventually seizing the province from France. Then the Celts, William the Conqueror, the Romans, then a bunch of other people. 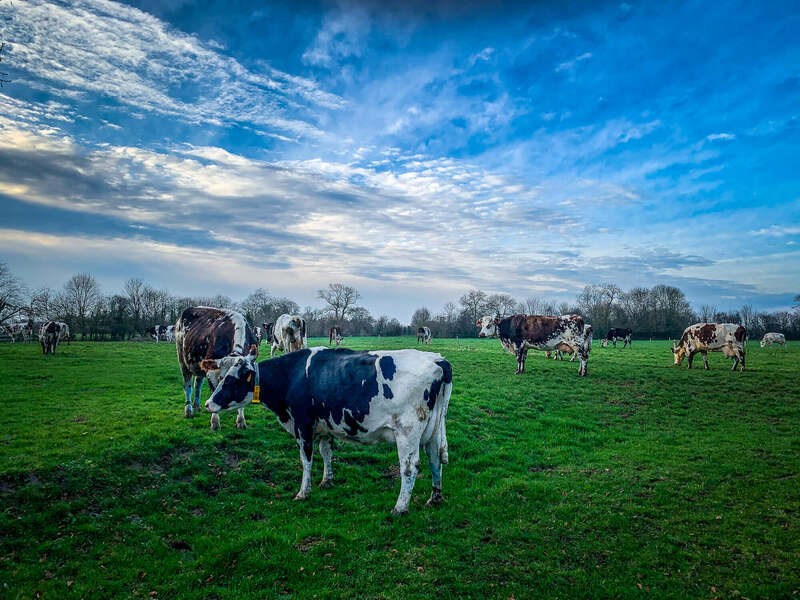 Normandy is know for its cows, Normandie cows natch, ergo great milk, chocolate and cheese. Some of the best in France. 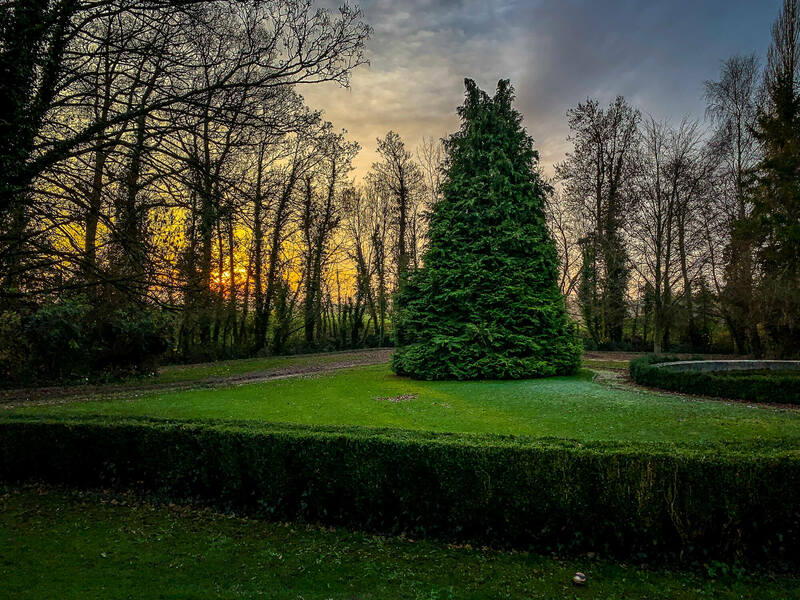 Here follows is my short list of cool things I found in two short days in Normandie. I hear in summer Honfleur is just jammed with tourists and holidayers. But in winter, pretty empty. A lot of shops are just not open. But the streets are a dream. Houses on the main harbor in Honfleur. 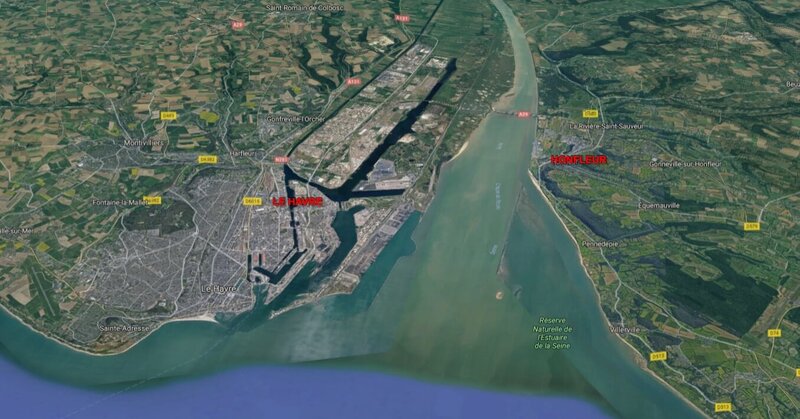 Honfleur has always been a treasured town, mostly because of its strategically located harbor, right. at the mouth of the Seine.The little harbor is loaded with shops and cafes, cheek by jowl. We just stopped in for lunch, but were late and a lot of places were closed for the afternoon, so didn’t get a chance to explore much. Come in the Spring, Summer or Fall. 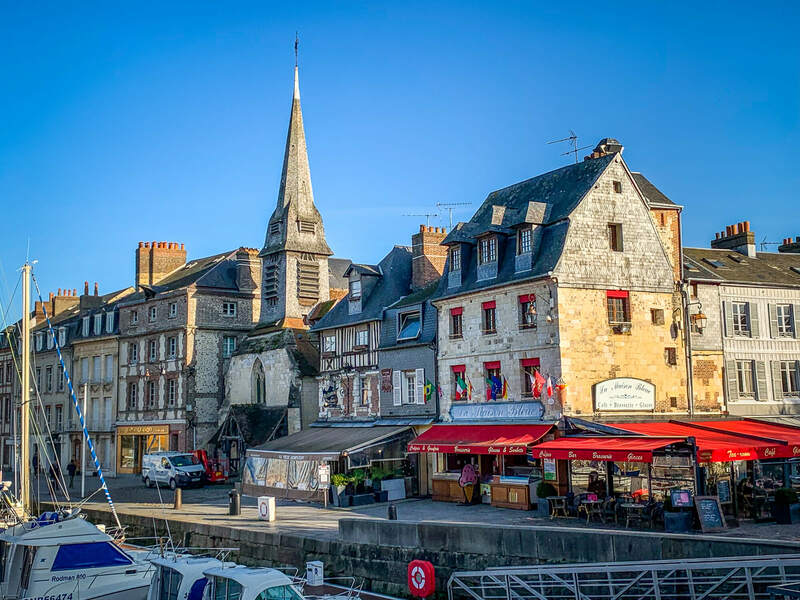 Here’s a great guide on Honfleur from the great Normandie Tourism site. 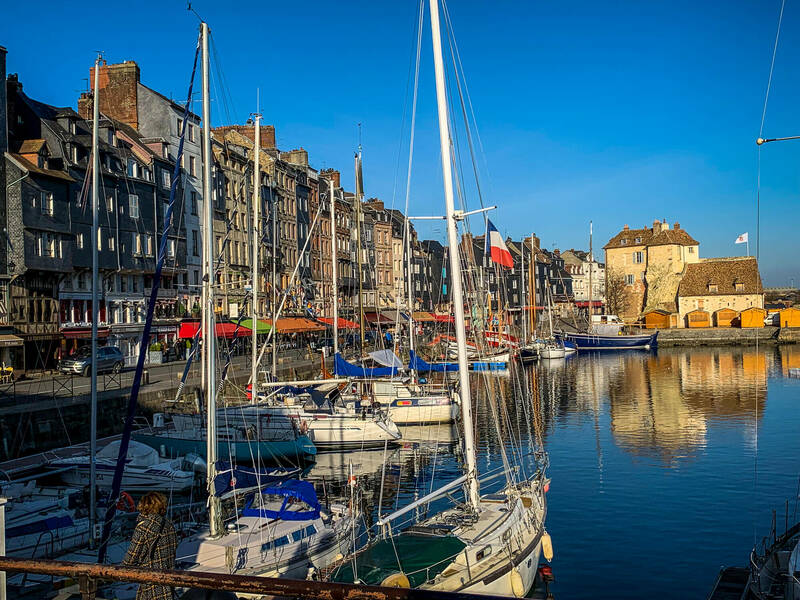 Here’s a great roundup story of 36 Hours in Honfleur from Luxe Adventure Traveler. 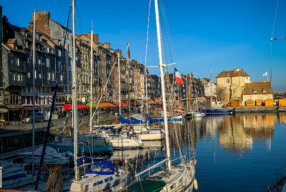 TripAdvisor’s Guide to Honfleur. Now instead of fishing and commercial ships, the harbor is mostly yachts and sailboats. 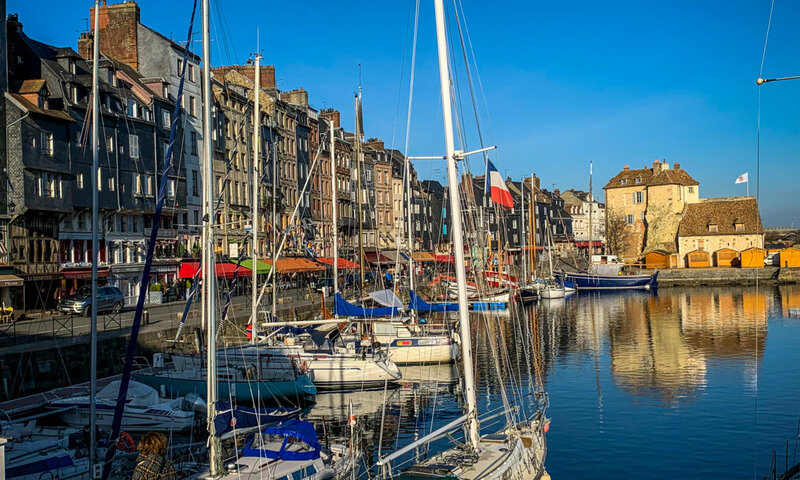 Honfleur is a gorgeous little harbor town, long prized for its protected harbor right at the entrance to the Seine estuary. 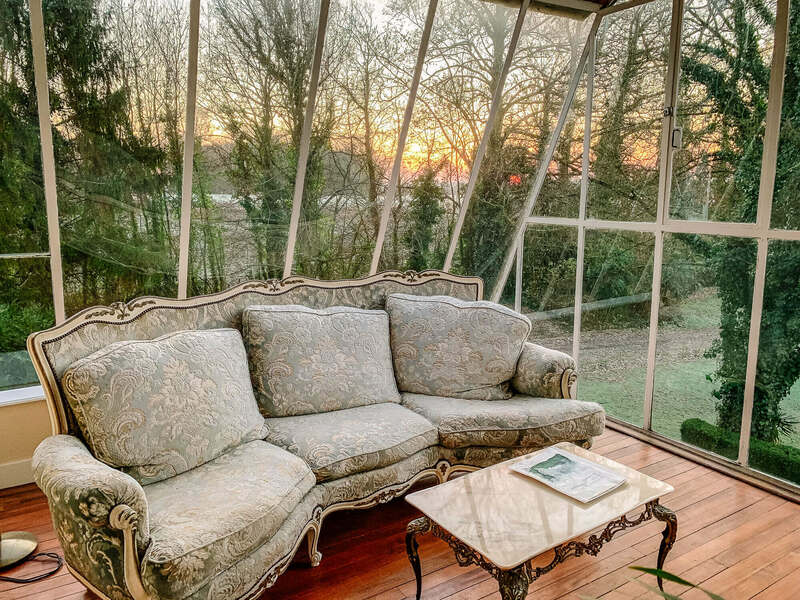 You’d never know it was right across the way from the busy industrial port of Le Havre. Now instead of fishing and commercial ships, the harbor is mostly yachts and sailboats. You can tell the English influence on this former part of England. Caen suffered a terrible, needless bombing in WWII thanks to the questionable efforts of Commander Bernard “Monty” Montgomery. Most of the town was obliterated, all for not. 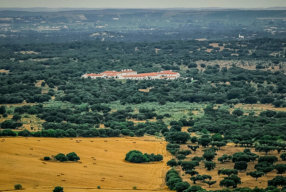 But it was faithful restored after the war, with beautiful limestone buildings, big windows and wonderful nighttime lighting. 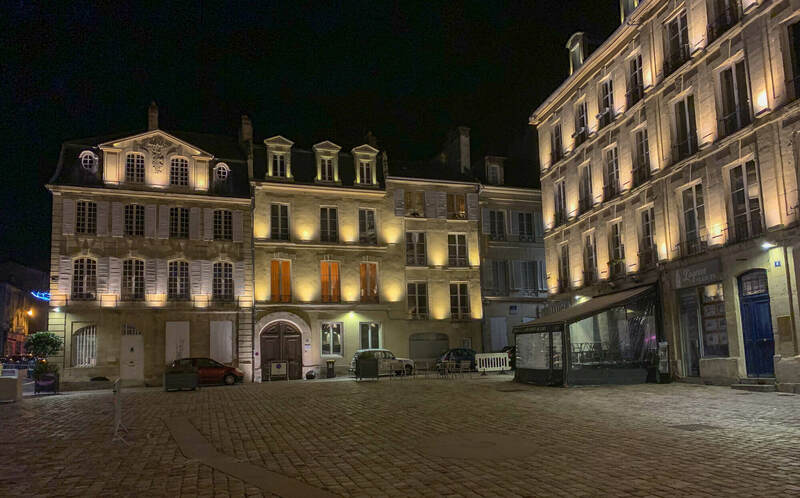 We only arrived late at night in Caen, had dinner and left early the next morning, but what a gorgeous city. Never seen a better use of big windows. Beautiful architecture all around, most of it fairly new after a total rebuild after WWII. Luckily, they built everything like it was instead of ugly modern buildings. It has a gigantic Gothic cathedral, the Caen WWII Memorial and several huge abbeys. 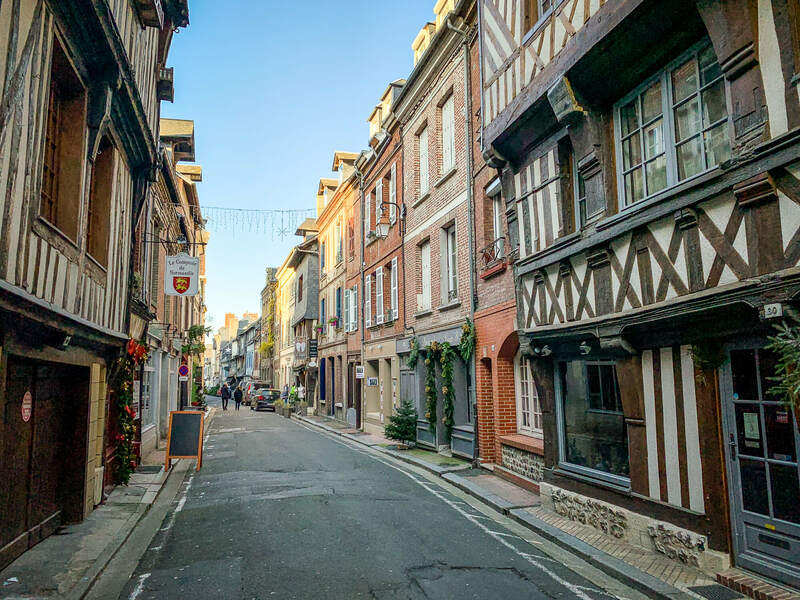 With such a short time, we didn’t get to explore much, this hometown of William the Conqueror, but here’s a good guide from the Normandie Tourism website. And a good guide from Lonely Planet. 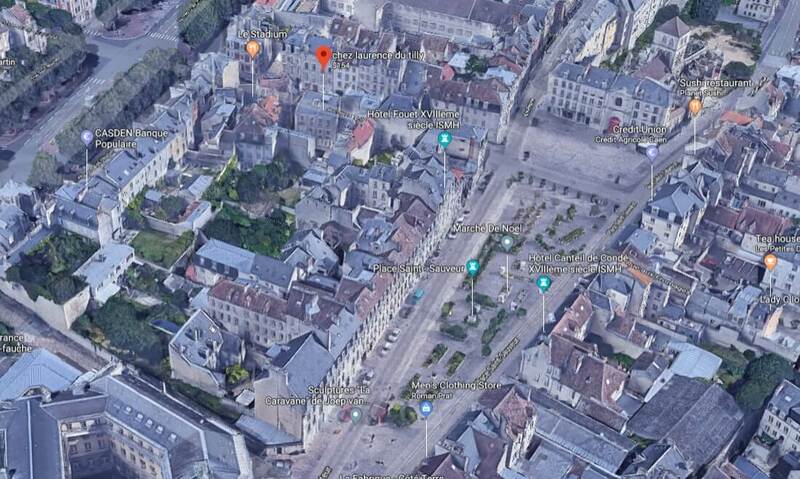 My cousin Joe found this awesome like apartment hotel in the center of Caen, a perfect place in a perfect location. Chez Laurence Du Tilly. It’s just a few self-contained apartments in a shared building, with a generous sitting area and bar on the ground floor. Gorgeously decorated, the owner has impeccable style. Each day, bread is delivered inside the door and your fridge comes stocked with breakfast essentials. It’s a pretty unmanned building, so you’re left alone. Great setup. Highly recommend. And just steps from the main square and great restaurants. 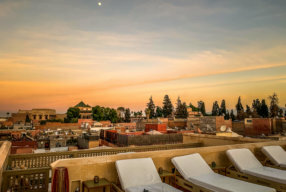 The whole building is comprised of stand-alone apartments for rent, sharing a beautiful living room on ground floor. There’s one bedroom and a pullout couch. And a sleek bathroom. The only problem sharing with others is they have to go through one bedroom to get to the bathroom. With fresh baked goods delivered through the cool Bread Door every morning. And comes with a stocked fridge for breakfast in your room. 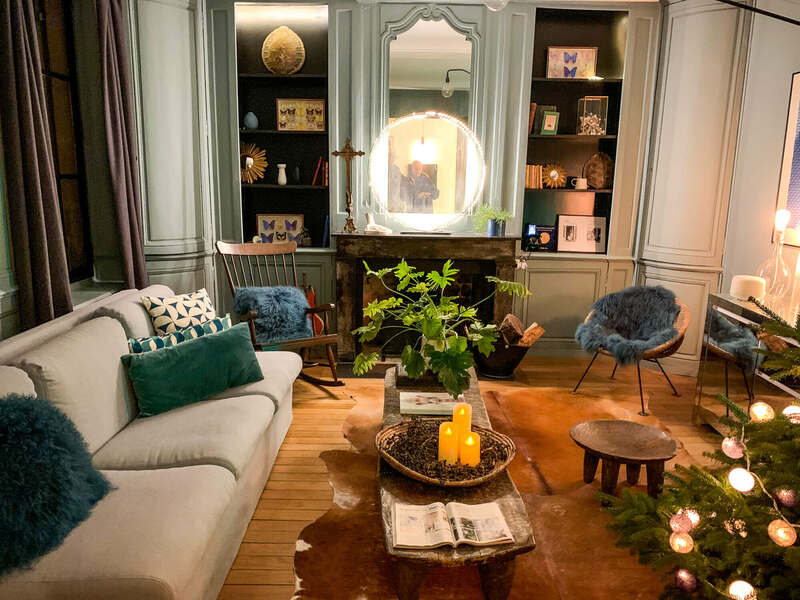 Chez Laurence du Tilly is perfectly located off the main square in Caen. 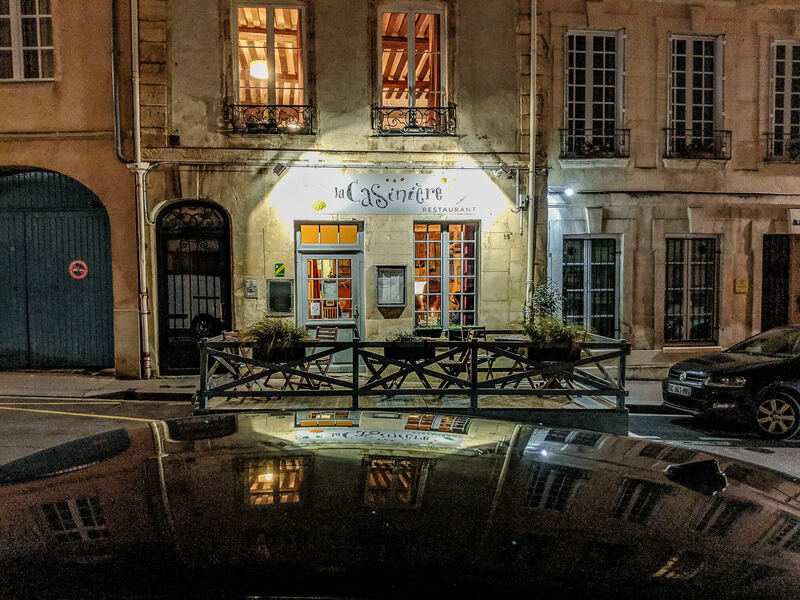 Our hotel recommended this cute little place, La Casiniere, just a few blocks from the hotel and main square. Lovely room in an ancient building. 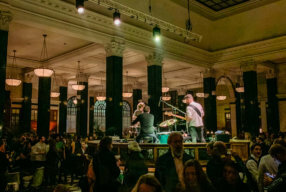 Great food and atmosphere. 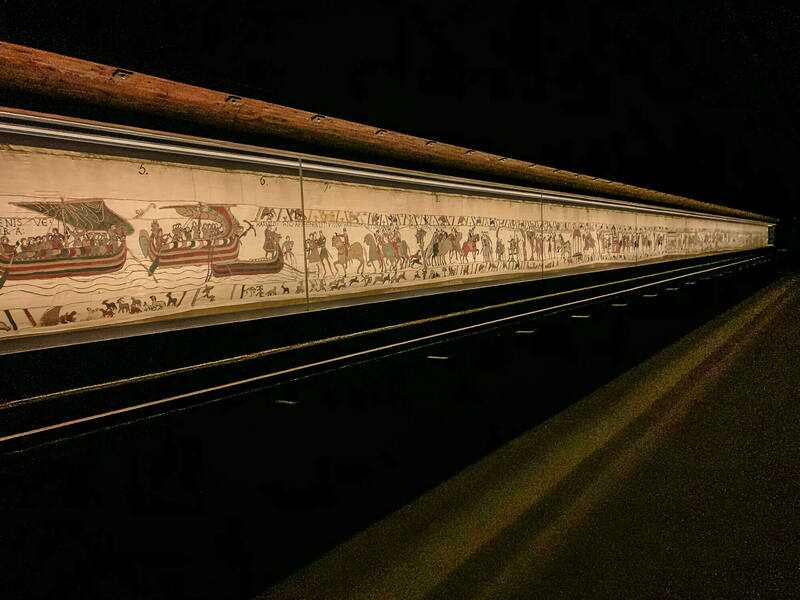 Where I first read about the importance of the gigantic Bayeux Tapestry and it’s role in Norman and English relations as it tells the history of William the Conqueror, a couple of Howards and a great family feud that split/combined England and France (very confusing). I was expecting a gigantic floor to ceiling, hundred yard long thick carpet. I was a bit shocked when I saw this football field long needlepoint that wrapped around this dark room. But once I understood the story and how it was portable and taken around the lands, it’s size made much more sense. 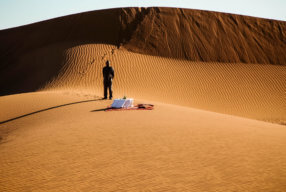 I hear it can get really crowded in summer, so make sure you book tickets in advance. The chateau has two giant suites and a handful of rooms on the first floor, the family lives on the upper floors. It’s like living with a family, as the son, dog, parrot and chores all take place whilst you’re there. 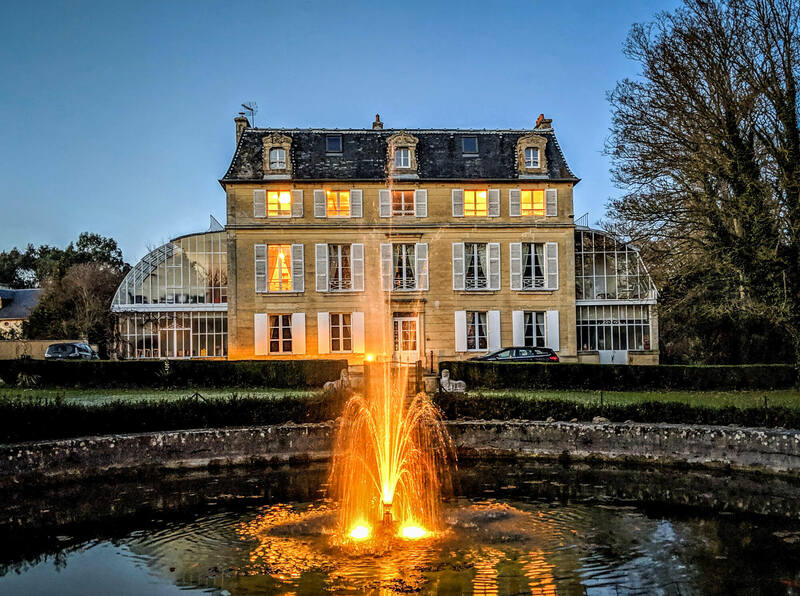 It’s not the fanciest chateau, but livable and reasonably priced. The owners, Vincent, is a former chef from Paris before he and his wife Corinne bought this place in 2009 and restored it. Vincent can cook for you in the downstairs drawing room, or you can run into Caen, a quick fifteen minute drive. Not really my style, but still nice. Vincent, a retired chef from Paris, can cook a find multi-course meal if you want. there’s a medieval tower in the backyard. Vincent, the chef/owner of our chateau recommended this restaurant in Bayeux. One of the top in town. Nice little place, okay atmosphere, friendly people. Here is Le Rapiere’s website. I have another very dense post on my favorite D-Day Tour sites here. 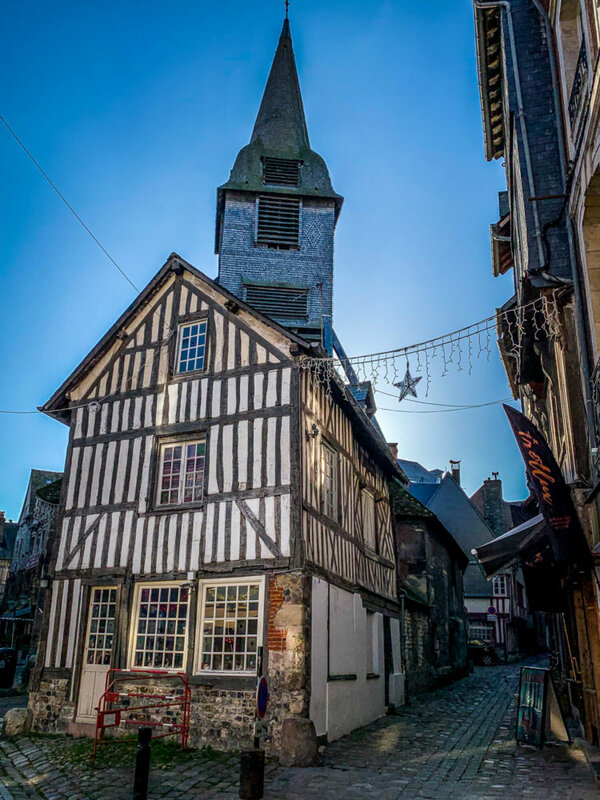 Here’s a great overview of the rich history of Normandie. 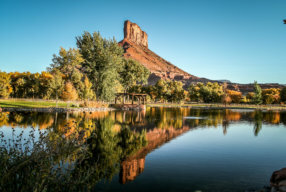 It’s hard to believe this beautiful river is the same as the grey/brown river through Paris, hundreds of miles away. 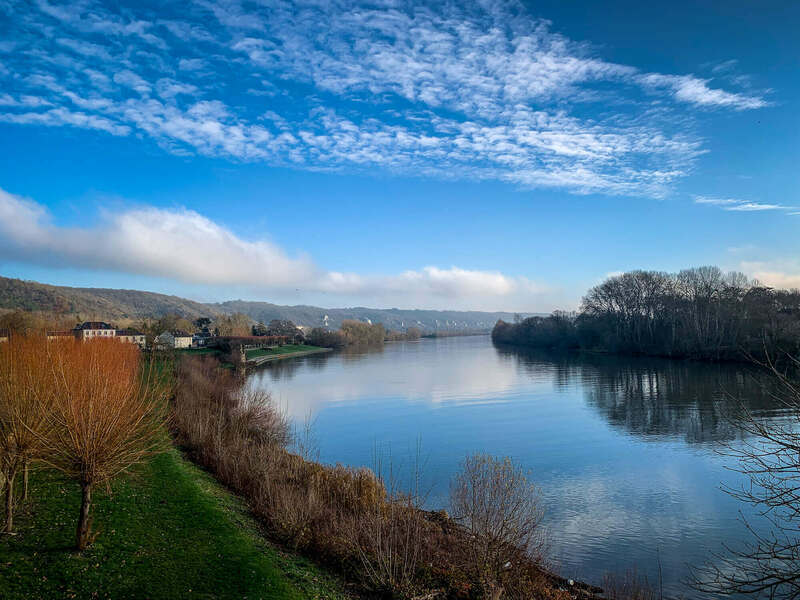 Normandie and its history are intertwined the meandering Seine. And for general Normandy info. Here’s a guide from Vogue. And a Normandy guide from The Independent. And a Normandy Guide from Conde Nast Traveler. And a great guide from Culture Trip on the 10 Reasons Why You Should Visit Normandy. What excellent choices! The Château de Damigny has my name written all over it. Putting it on the list. 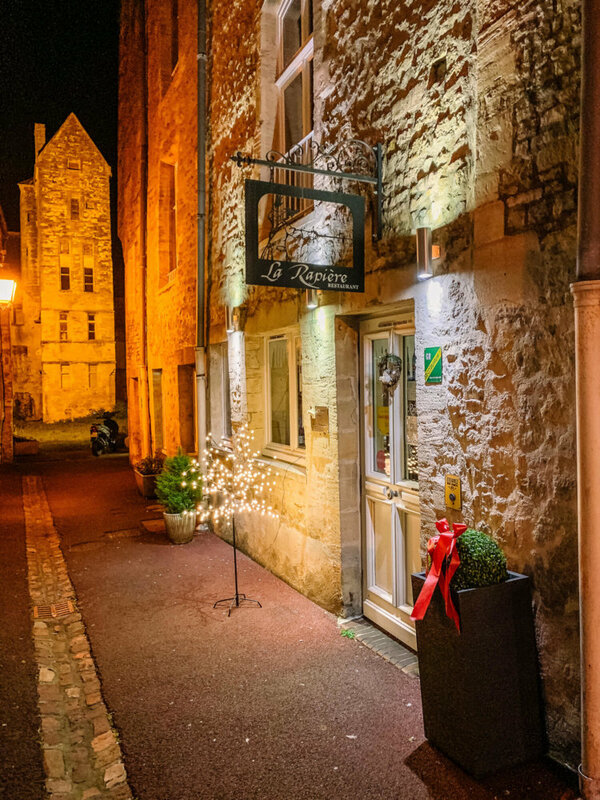 My girlfriend Susan Herrmann Loomis has an amazing cooking school at her gorgeously restored 15th convent home in Louviers in Normandy. It is a great way to experience the flavor of Normandy. Thanks for forwarding this to Susan, we emailed each other yesterday! Will definitely come to learn to cook on my next trip!